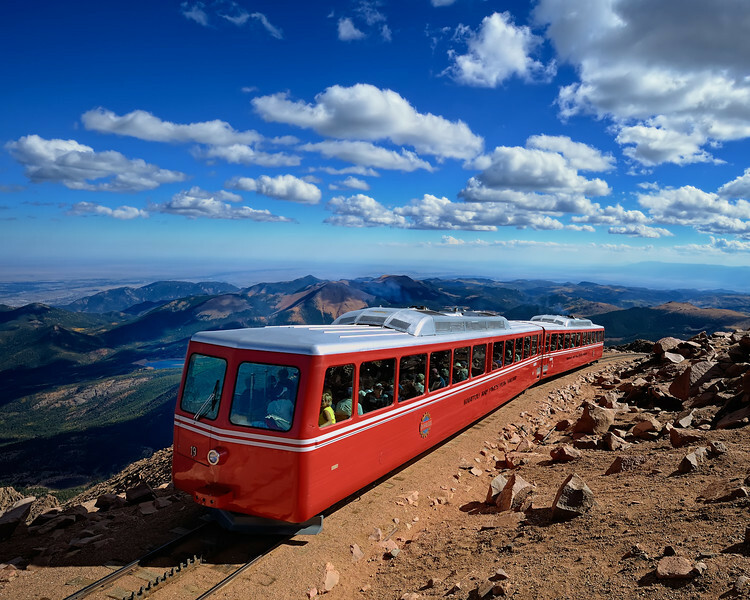 This historic railway has been in service for over 100 years and holds the title for highest cog railway in the world. At it's top point it offers exceptional views from the summit of Pike's Peak (where this image was taken). It is an Abt rack system cog railway that is now operated year-round much to the delight of railroad fans and tourists alike.